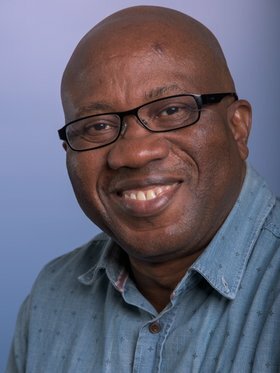 Professor Moses John Bockarie joined European and Developing Countries Clinical Trial Partnership (EDCTP) as Director of South-South Cooperation and Head of Africa Office on 1 July 2016. Prof. Bockarie, a Fellow of the Royal College of Physicians of Edinburgh, is a specialist in the field of neglected infectious diseases and an internationally experienced researcher. He has worked in many countries in Africa, Europe and the Pacific region, and in the United States of America. He is the 2016 recipient of the Royal Society of Tropical Medicine and Hygiene Mackay Medal for outstanding work in tropical health. Professor Bockarie is also Chair of the WHO/TDR Scientific Working Group for Vectors, Environment and Society and a member of the WHO Regional Programme Review Group for Neglected Tropical Diseases in the African Region. Before joining EDCTP as a Director, Moses Bockarie was a member of the independent EDCTP Scientific Advisory Board. He was Director of the Centre for Neglected Tropical Diseases and Professor of Tropical Health Sciences at the Liverpool School of Tropical Medicine (LSTM), United Kingdom from 2008 to 2015. He obtained his Bachelor’s degree in Zoology from the University of Sierra Leone and a Masters and PhD in tropical health sciences from the Liverpool School of Tropical Medicine. Prof. Bockarie worked on various research programmes on malaria and other neglected diseases in Sierra Leone, before taking up an appointment at the Papua New Guinea Institute of Medical Research, becoming Principal Research Fellow in Medical Entomology and Head of the Vector Borne Disease Unit in 1996. In 2005 he joined the Centre for Global Health and Diseases, Case Western Reserve University, Cleveland Ohio, USA as Visiting Professor, where he continued his research on neglected diseases until his appointment in Liverpool in 2008. Dr. Sarah Rees manages the IVCC portfolio of development projects aimed at producing new active ingredients with novel modes of action for sustainable vector control. She focuses on products that have been shown to have an impact in blocking indoor transmission such as LLINs and long lasting IRS formulations. Sarah works closely with industrial and academic partners. Sarah joins IVCC following a 30 year career in agrochemical research and development with Syngenta and its legacy companies. She has held a variety of biotechnology and crop protection R&D roles and has considerable experience in technical management and portfolio leadership in all aspects of product development, from the generation and evaluation of ideas to project management from discovery through to launch. Sarah has a degree in Plant Sciences from King’s College, London and a PhD in Phytochemical Insect Antifeedants from Reading University. Prof. Graham Sandford is a Professor in the Dept. of Chemistry at University of Durham. His area of expertise is organoflourine chemistry, and he is the Scientific Coordinator of another GCRF grant under the same call developing new drugs for NTDs.